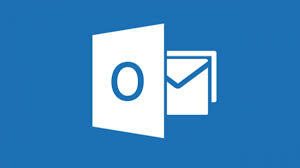 Are you looking for Microsoft Outlook training courses London but outlines don’t quite seem to fit your requirements? Some users will need to share calendars. Others will not have the opportunity. 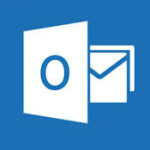 Some users will want to make the most of Outlook to manage their time effectively. Some learners may need to create custom forms. However, many learners will be more interested in managing attachments. We provide Microsoft Outlook 2010 training courses , Microsoft Outlook 2013 training courses and Microsoft Outlook 2016 training courses. All our Microsoft Outlook training courses London are tailor-made to suit the needs of the individual or organisation. However, our costs are no higher than for a standard course. In general, we divide these courses into three levels. These include Introductory Outlook training, Intermediate Outlook training and Advanced Outlook training, though our course outlines are very flexible. Richmond upon Thames College, etc. Although we include links to Microsoft Outlook training courses London outlines below, all training can be adapted to the needs of the individual or organisation. We would encourage you to think about what you actually need from the training and contact us to discuss. For further details, please fill in the contact form. If you are ready to book, please fill in the contact form with your first and second choice of date. If we cannot accommodate these dates we will give you a 10% discount and arrange a mutually convenient date within 24 hours.